Yes, I know (and my wife will probably give me that look for it), the title of this post is very cheesy. But, Hey!, it was a great shoot, we had a lot of fun, and sometimes you need a little bit of cheesy-ness to start the day right. 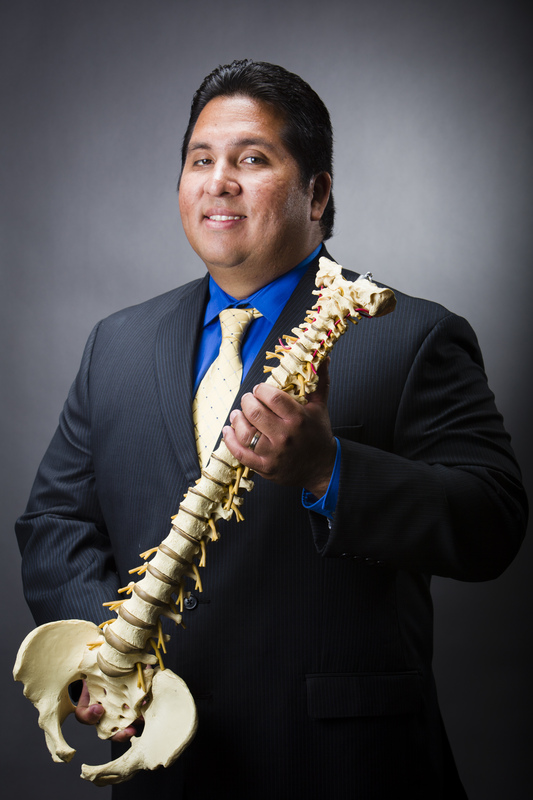 Dr. Pardave is a licensed chiropractor, licensed athletic trainer and certified acupuncturist, practicing at Florida Chiropractic & Sports Rehab Center in Aventura, Davie, and Hialeah, Florida. He is part of the athletic training staff at both Barry University and Florida International University (starting this fall). We were called in to create some images for professional uses such as websites, magazines, and other print publications and publicity. 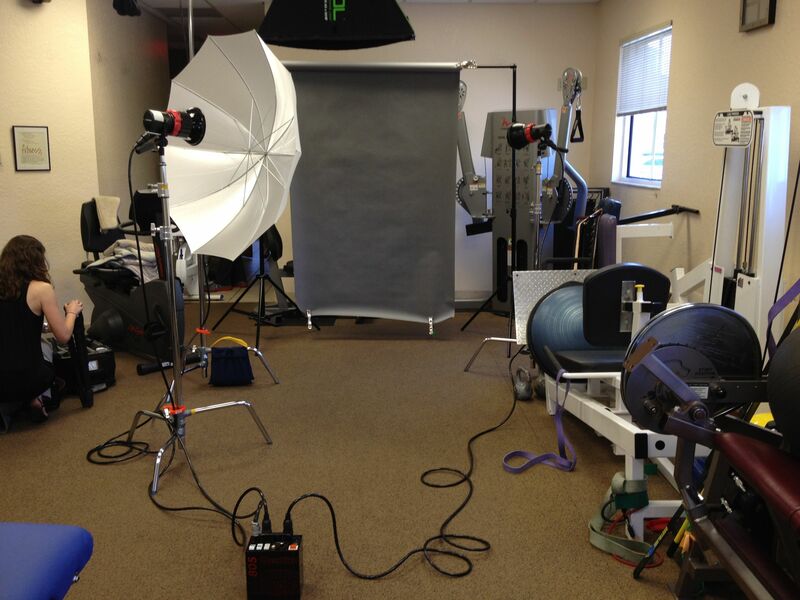 As we normally do, we brought the studio to him and created the images in his office rehab gym (image below). When we walked in, I think the receptionist was a bit confused at first. As we also normally do, I was wearing a suit complete with tie and jacket, and Jenifer was in slacks and a dress shirt. We feel this additional touch makes all the difference in the world to both the person in front of the camera as well as the clients of the business we are visiting. After all, our job is to make our client look as good as possible which we dont limited to just the pictures. Once Dr. Pardave greeted us and confirmed we were there for the pictures, the receptionist seemed much more interested in what we were doing. This entry was posted in Clients, Digital Photography, Photography sessions and tagged Barry University, Dr Julio Pardave, Florida, Florida International University, on-location portrait, Photo Business, photography, versatile light studio. Bookmark the permalink.